Team Evie Board of Trustees - meet them here!Team Evie Board of Trustees - meet them here! Our Chief Executive and Board of Trustees manage and run TeamEvie and are dedicated to providing help and support to sick children and their families, all in Evie’s name. The Board of Trustees is drawn from a background of Evie’s family and professionals, and the team plays to everyone’s individual skills and strengths. To find out more about our Chief Executive or each of our wonderful volunteer Trustees please click below. 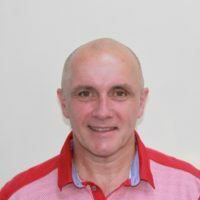 I’m Evie’s dad and as the CEO & only employee of TeamEvie I look after the day to day running of the charity and manage all the operational aspects of the work we do. I work with the Chair to ensure that the Governing Body formulates and regularly reviews the charity’s vision, mission and strategic plans, and it is my responsibility to deliver these. 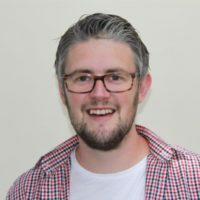 I work hard to enhance the charity’s impact and profile locally, regionally and nationally building upon existing support networks and I am in charge of maximising revenue and promoting the charity through our social media platforms and our website. I am also the person who usually appears in the media for the charity, so you may have seen me on TV or heard me on the radio! I have close links with our advisory panel, patrons, the medical teams we help, the families we work with and all our volunteers and co-ordinate all of these to help TeamEvie run smoothly! 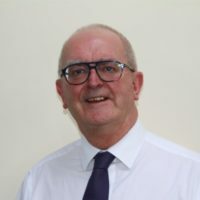 In brief I lead and manage the organisation, promote the charity, look after fundraising and income generation, and work closely with the board of trustees to ensure we as a charity meet our objectives. 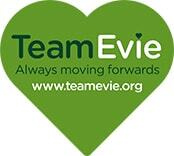 I’m proud to be Evie’s mam and Chair of TeamEvie. 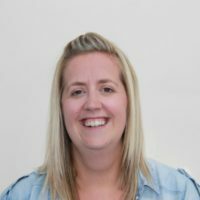 In my role I have an overview of all aspects of the charity, which helps me to make informed decisions about how TeamEvie can be most effective. At the heart of what I do is ensuring that we are always developing & growing so we can have the maximum impact in supporting sick children and their families. The 6 months Greg & I spent in hospital with Evie gave us a unique insight into how our charity can help others. We have developed strong relationships with medical staff and this is a key strength of our charity. 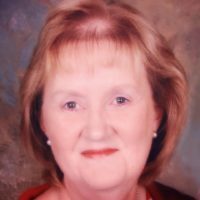 I’m Evie’s gran and my role is to look after the financial aspects of TeamEvie. 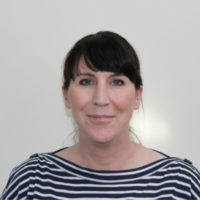 I have worked in banking and finance for most of my career as a secretary/cashier for Natwest and a financial administrator for over 25 years in Primary Schools, and bring my skills to the team to make sure everything runs smoothly. I oversee and present budgets, internal management accounts and annual financial statements to the board of trustees and make sure that proper accounting records are kept, financial resources are properly controlled, invested and economically spent. I monitor and advise the board of trustees on the financial viability of the charity and the financial implications of our strategic plans. I communicate closely with Robert from our Advisory Panel to ensure that all our work is kept in line with the guidelines from the Charity Commission. In brief I look after the banking, invoices, donations, Gift Aid, keep a close eye on the accounts and pay the bills! I work closely with the Chair and Chief Executive to keep them informed on our finances! You can contact me if you need any information on donations or payments. I am Evie’s granda and I co-ordinate our bereavement support. I am a funeral director running a small, independent, family business founded by my great-granda in the 1880s. It rather scares me to say I have now been involved with funeral work and bereavement for over 45 years but this vast experience helps me successfully carry out my role in TeamEvie. I have experienced all kinds of bereavement from both sides – being a funeral director gives you the unenviable task of having to deal with the practical side of arranging funerals for your family while you try to cope with your own grief and emotions. But for every family it is always done with great pride in my role and I was never more proud than when I looked after Evie my precious little grand-daughter. Evie was, still is and always will be ‘my little warrior’ who inspires me through her determination and courage. I am able to offer support, practical assistance and encouragement through my connections with other funeral and bereavement professionals to ensure the best advice and support is available for all those who need it. I’m Evie’s auntie and I look after TeamEvie’s work with schools. I have been a teacher for 16 years and I’m now deputy head of Dearham Primary School in Cumbria. I have organised and led lots of successful school events during my career so it was a natural choice for me to be the Education/Schools Trustee. I have already established our ‘Go Green for Evie’ days, our ‘Reading Challenge’ and big fundraising sporting events for children. I am always keen to work with more people and engage with schools in the local area and beyond to involve them in fundraising. I link with Headteachers to encourage schools to sign up to the Reading Challenge and continually develop new opportunities for schools to be involved with the work we do. If you work in a school and would like to get involved with our events get in touch! I locate and approach businesses for sponsorships and donations for e.g. The Partner & Sponsor companies of our Lakeland 3 Peaks event. If you are interested in your business supporting TeamEvie please get in touch and we can discuss the possibilities we have available. I also get involved with the organisation and running of our events and fundraisers. I also have a background in counselling and I am keen to support bereaved parents on their journey through grief. 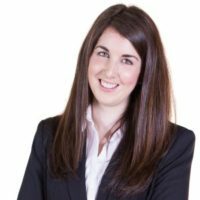 As a solicitor who has worked for Burnett’s for 5 years I have a lot of experience of dealing with Charity Law and what is required to ensure we fulfil our legal obligations under the Charities Act and the Companies Act. Support the organisation to assess areas of legal risk. Work with the organisation and its staff to develop risk management strategies in relation to legal compliance. Provide training to other Board of Trustee members in relevant areas. Review and provide guidance on contracts and service agreements. Review and set organisational policies in relevant areas. © 2019 Team Evie. Registered Charity Number 1164489. A word on privacy and cookies. Website by Rocket Sites.